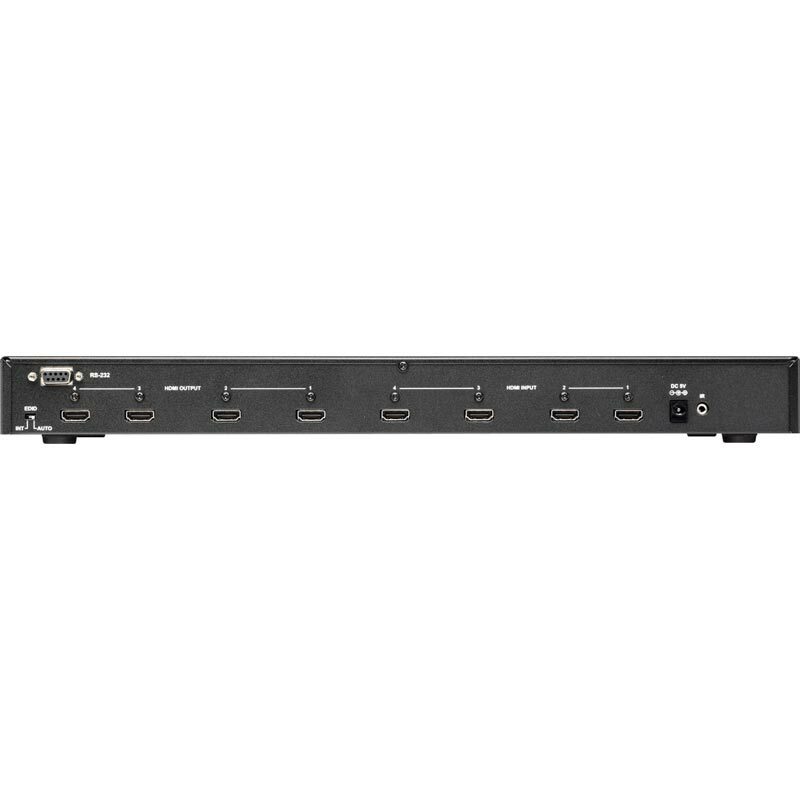 1T-MX-6344 4x4 HDMI Matrix Switcher is designed to allow distribution of four HDMI (or DVI) sources independently to four destinations. The 1T-MX-6344 supports HDMI v1.3 Deep Color (10 bit color) video and new lossless, compressed Dolby TrueHD, Dolby Digital Plus as well as DTS-HD Master Audio digital audio. 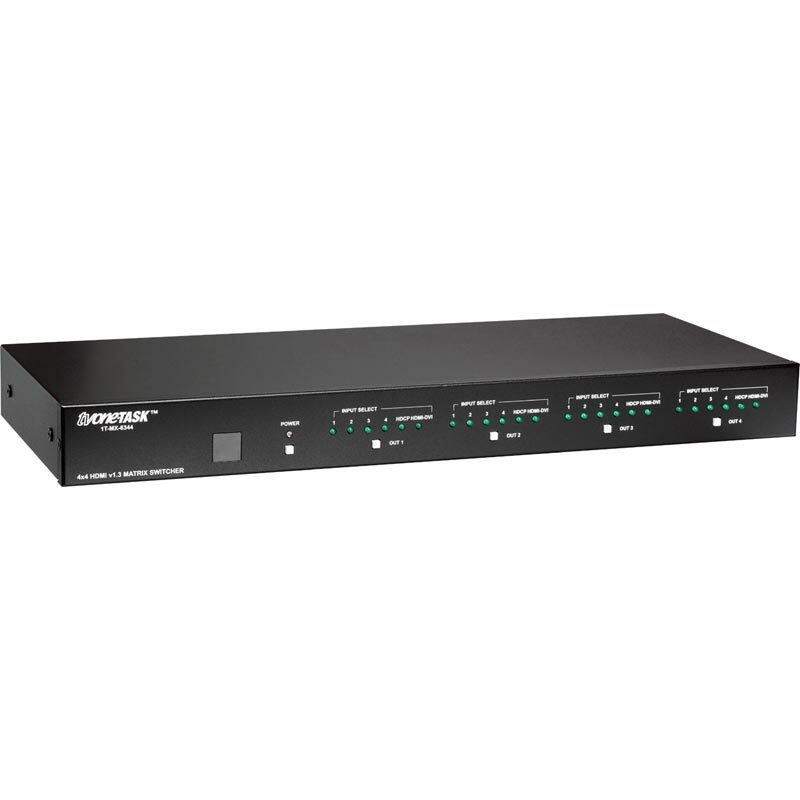 HDCP is supported and all signal paths are fully buffered to prevent cross talk. Frequency bandwidth is 2.25 Gbps (Single Link) and each input signal is reconstituted into a new signal before being output thereby eliminating any jitter component. HDTV signals up to 1080p and PC signals up to UXGA signals are supported as well as 480i and 576i SDTV. Special mechanical features include TV One's exclusive locking DC power connector as well as compatibility with locking type HDMI cable connectors. RS-232 and Infrared Remote Control are provided in addition to front panel pushbuttons. 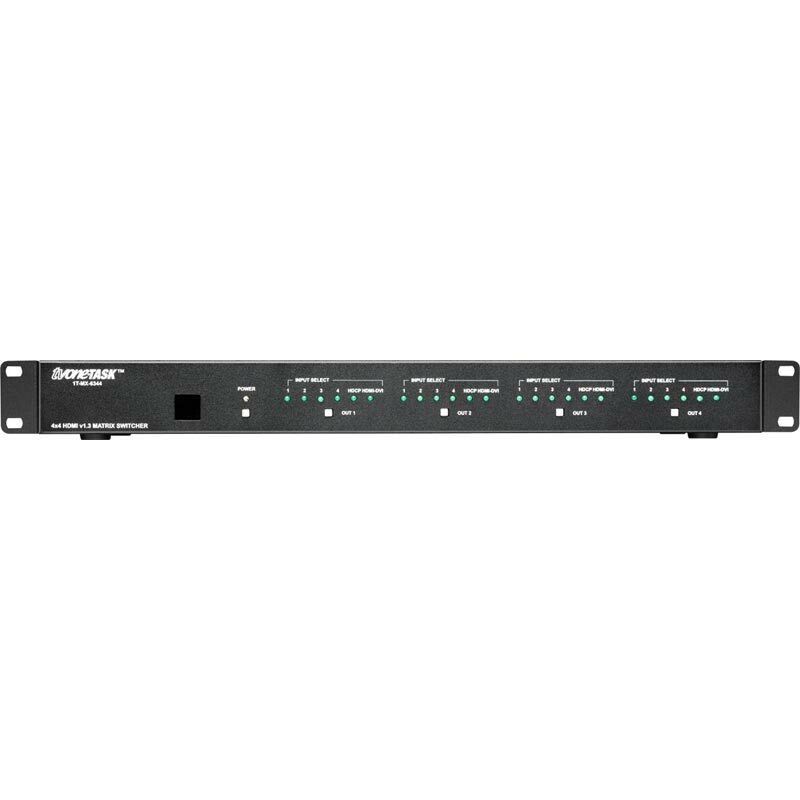 Rackmount ears are included.